When it comes to finding an Alice in Wonderland inspired title, there is without a doubt a plethora of them. Even so, it's not often you come across an inspired retelling of Lewis Carroll's masterpiece that is quite like Colleen Oakes' Queen of Hearts. "Cheshire stared at her, his eyes darkening with anger, though the wide smile on his face betrayed nothing." Told in the point of view of Dinah, the Princess who will be Queen, Colleen Oakes gives readers a fresh new look into the Wonderland universe. I've always felt that Wonderland retellings felt all too similar to one another, kind of blending in together into a giant mess, however Colleen Oakes' Wonderland is far more unique while also being slightly resembling to what we've come to know from Lewis Carroll. Furthermore, Queen of Hearts doesn't only introduce Dinah, but also includes appearances from everyone's favorites - the Hatter, the White Rabbit, Cheshire, and so much more. It was quite interesting to see how Colleen incorporated each character into Dinah's tale, and I absolutely cannot wait to see what book two has in store! "Time seemed to stop as Dinah stood paralyzed in the darkness. The sword in her hand lowered slowly." Queen of Hearts by Colleen Oakes is not your average Wonderland retelling. It's exceptionally compelling, well written, and addicting! I guarantee you won't know what to expect in Colleen's latest. Forget all you knew about Alice in Wonderland and be prepared for an entirely refreshing adventure! 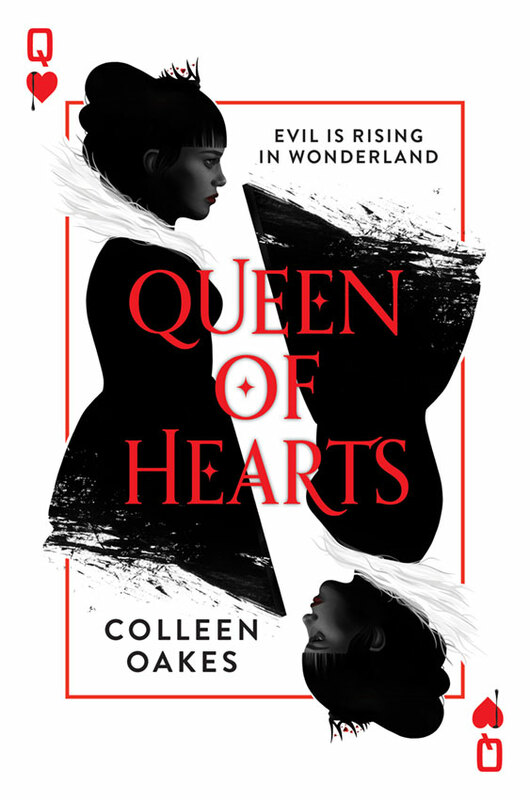 Colleen: Queen of Hearts is the backstory of the infamous villain from Lewis Carroll’s Alice in Wonderland. The three part series is the story of Dinah, princess of Wonderland and tracks her transition from spoiled daughter of the King to the angry Queen we know and love. What inspired you to write this interesting Alice in Wonderland re-telling from the perspective of the future Queen of Hearts? Did you experience any difficulty when incorporating fan-favorites like the Knave, Hatter, etc? Colleen: When I started writing the book, I decided that I could not handle writing talking animals, and so I took their attributes and turned them into their human counterparts: Cheshire became the shifty, clever advisor of the King. The White Rabbit became her kindly guardian who is very concerned with how late Dinah always is, The Mad Hatter her talented and deranged brother, and the Caterpillar…well, for that you have to wait for Book Two. How important was it for readers to associate (or relate) with Dinah as the young princess? Colleen: While I love YA, I am tired of seeing tales of the perfect “chosen one”. I wanted a heroine – and a villain – who were both relatable and flawed. We are going to see Dinah do some very bad things and pay the consequences for that, something that I think readers will understand. Sometimes doing bad things can feel very good. What can readers expect to see from the series in the nearby future? 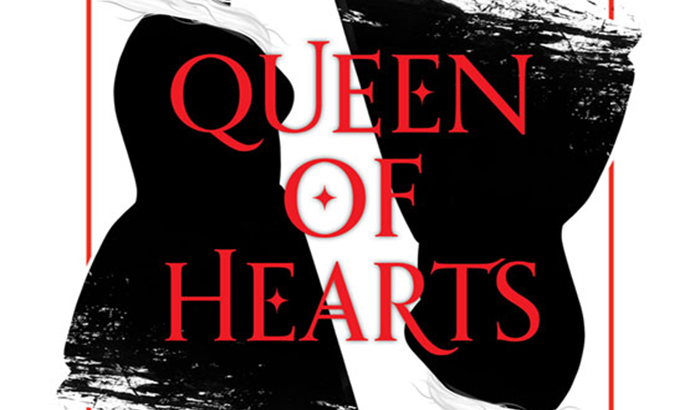 Colleen: This year will see the release of the first book in the series, Queen of Hearts. The second book in the series will be coming January 2017, I believe. Your Queen of Hearts big or small screen dream cast? Colleen: We will see who Universal Pictures picks, but my dream cast would be Mae Whitman as Dinah, Aaron Tvevit as Wardley, Kevin Costner as the Spade and Tom Hiddleston as Cheshire. 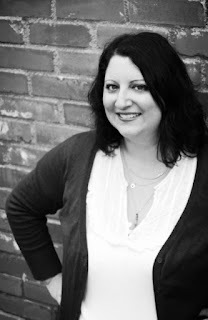 I would like to extend a big thank you to Colleen Oakes for agreeing to do the Q&A and the HCCFrenzy team over at HarperCollins Canada for connecting us! There are too many Alice in Wonderland inspired books out there, but this sounds really different considering the fact that it's about the villain and not so much about Alice. Is there even an Alice? I'm guessing probably not because the Queen of Hearts is still so young and Alice doesn't appear until she's already been queen for a while, right? Either way, great review and interview, Wendy! Enjoyed your review and Q/A. Happy Tuesday and Book Birthday! Wonderful review & Q+A! Tom Hiddleston as Cheshire would be amazing! There are so many re-tellings that I honestly got a bit tired of them. I've been eyeing Queen of Hearts, especially since I've been seeing more raving reviews roll in, so I think I'd give it try!